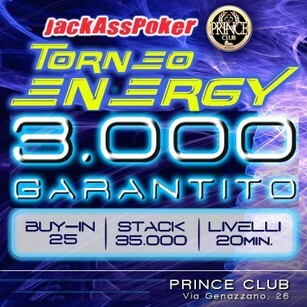 PRINCE CLUB - 3.000 GARANTITI - 1.000 al PRIMO - Texas Holdem Poker - Tornei Live di Poker a Roma. Livelli: 20min - STRUTTURA PRO! - Bonus +10.000 STACK PUNTUALITA' entro le 23!